For our recent Yellowfin 7.3+ launch, we showcased the JSON connector directly accessing a real-time GeoJSON feed of earthquakes around the world from the USGS Earthquake Hazards Program, and plotting them onto a map. Today, we’ll discuss a different method which is connecting to a JSON API endpoint. 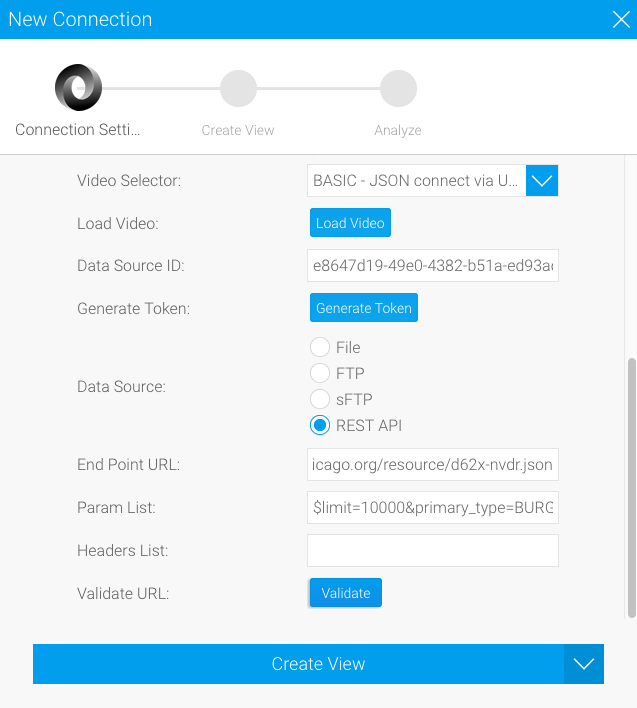 Since crime is a hot topic in the US right now, we looked at a few JSON API feeds and came across the Chicago Data Portal which houses data collection in various categories, one of which is crime. 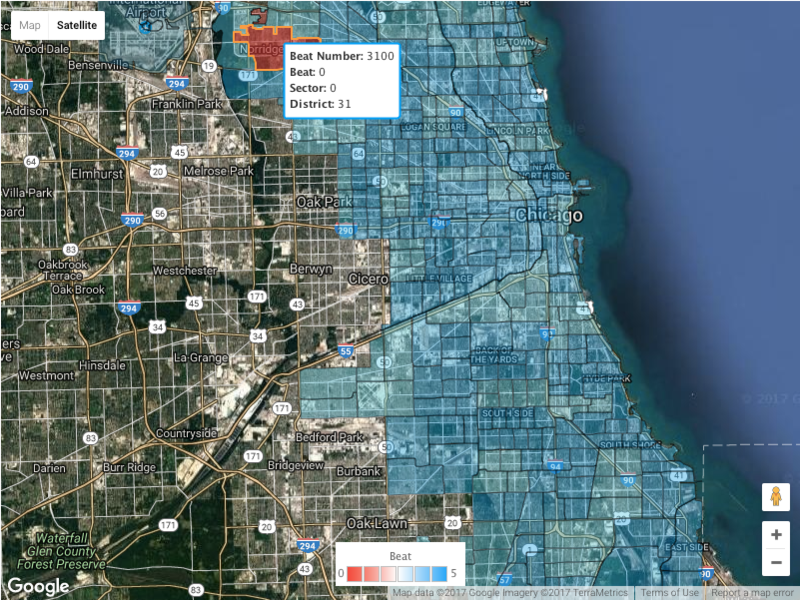 We decided to connect to the 2017 Chicago Crime data set via the Socrata Open Data API (SODA) which provides additional abilities to filter, query, and aggregate as needed. To provide a more focused story, we narrowed it down to burglaries. i) Forcible entries make up over 60% of all burglary crime. ii) Burglaries are generally decreasing over time, but both Forcible Entry and Unlawful Entry crimes spiked in April. 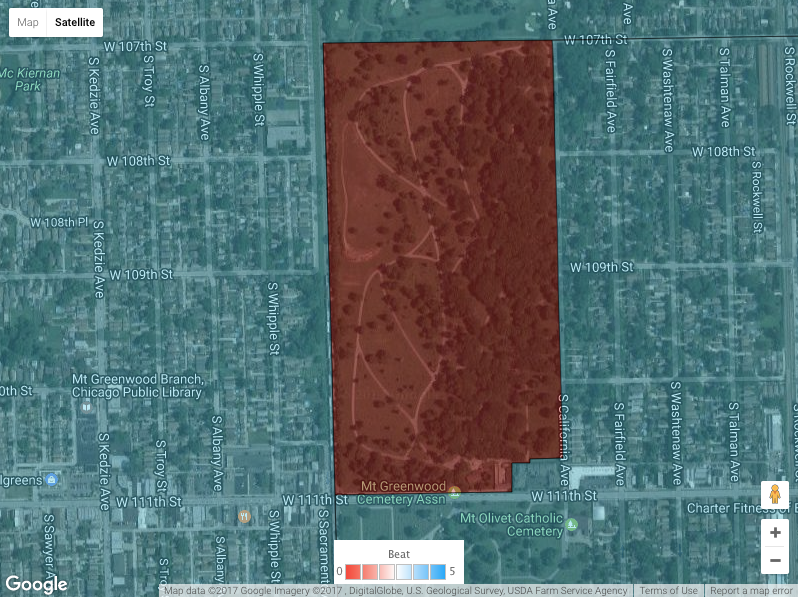 iii) If you’re looking to relocate to Chicago, the boundary area between the 4th and 5th District might be the place to go to avoid burglaries. note: insights were recorded at time of writing. As this is a real-time JSON API feed, this might change over time. While looking at crime hotspots, we were quite interested in the concept of a “police beat”. A beat is the smallest police geographic area. Each beat has a dedicated police beat car, with 3 to 5 beats making up a police sector, and 3 sectors making up a police district. Find out more about CAPS here. This sparked a discussion amongst ourselves where taking the number of incidents and arrests into account, was it better to live in a district where police presence (in this case, number of beats resulting in dedicated police cars and allocated police officers) was higher for a chosen geographic area? i) There seemed to be a data quality issue as the most current data was duplicating sector and beat values. Maybe better data governance is required? iii) And speaking of the lack of police presence, avoid Mt. Greenwood Cemetery at all costs as ghosts aren’t your only worry! In regards to total burglaries, the 8th and 20th District seemed to be the most dangerous and safest respectively. However, the most worrying insight was that the amount of arrests for burglaries in each district averaged to only around 6, with only a maximum of 10 arrests in the 24th District. This could suggest that either the police force are prioritizing other crime incidents besides burglaries, or they might just be slightly tapped out in resources. Perhaps this is where CAPS comes in, with the goal of encouraging community members and the police force to work together and prevent crime. We would obviously need more data to investigate but perhaps the decreasing trend in burglaries for 2017 could be connected to the effectiveness of CAPS? Either way, we were pleasantly surprised that the community members in each district could actually attend local beat meetings and have a Q&A with their officers. 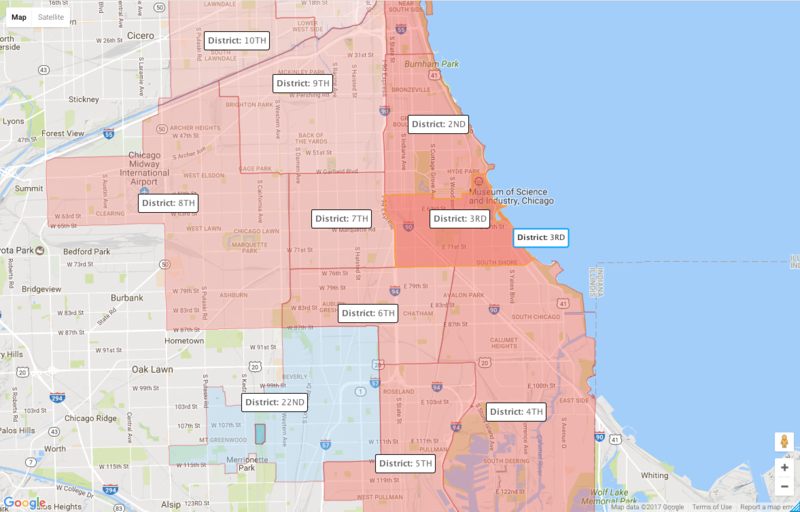 If you’re in Chicago and would like to do so, select a district in the chart above and click through to attend the next beat meeting!